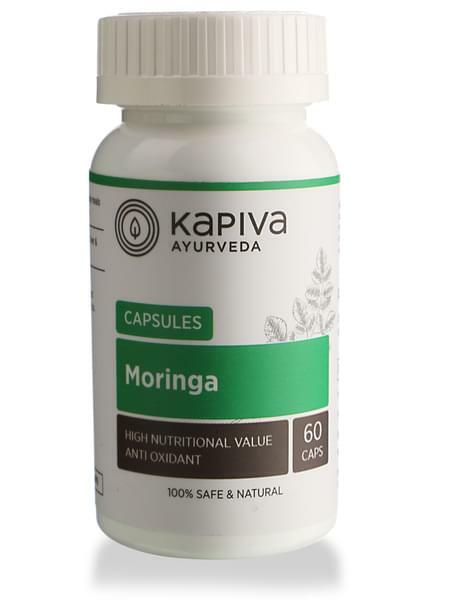 • Kapiva’s Moringa Capsules bring the benefits of the best moringa herbs which are superfoods packed with nutritional qualities. • Highly effective in fighting flu and other common yet dangerous infections by boosting human body’s immune system. • Reduces swelling on the surface. • For women, facilitates breast milk production, without any harmful effects to the mother or the child. • Consume two capsules every day before meals for maximum impact. • Kapiva derives its name from the three doshas of ayurveda – Kapha-Pitta-Vatta. our range of 200+ GMP Certified products have the right herbs in the right dosage and provide solutions to a variety of ailments. It's the day and age of hybrids, so go ahead and enjoy the best of both worlds - Ayurvedic tradition + Modern-day science and technology.